The Hindustan Shipyard Ltd, Visakhapatnam was set up in the year 1941 by the Scindia Steam Navigation Company. The Shipyard was partially taken over by Govt. 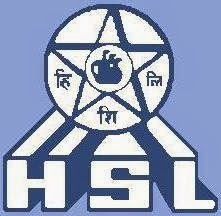 of India in 1952, and HSL became a fully Govt of India owned enterprise in Jul 1961. Presently, this is the largest public sector shipyard in the country and the first yard to obtain ISO 9001-2000 accreditation. Recently, the yard has obtained certificate of approval of ISO 9001-2008 Certification from IRQS on 09 Nov 2012. Since inception, the yard has delivered 169 vessels of various types and repaired over 1900 vessels.